At Carmichael Environmental we strive to increase the quality of life and decrease the cost of living for our clientele. We combine the forms of nature and the functions of life to create landscapes which are economically viable, environmentally safe, and socially responsible. Carmichael Environmental was started in 2001 by Joshua Carmichael. He created this outlet for his passion of art & science and love of the natural world. He is a community leader, environmental steward, and longtime resident of San Luis Obispo County. Our team is made up of Cal Poly horticulture and landscape architecture graduates and others focused on improving our environment with a hands-on approach. We specialize in all facets of sustainable design-build landscape construction. 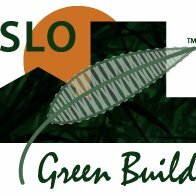 Together we have created many ecologically friendly landscape projects statewide, from San Luis Obispo County to the greater San Francisco Bay Area and beyond. We are also available to conduct workshops, lectures, nature hikes, and other educational events. Contact us anytime to answer comments, questions, or concerns regarding your project ideas. We are a land use planning & design firm with an excellent team of environmental consultants, landscape architects, and building contractors. Our company specializes in sustainable landscape design & build strategies and native habitat restoration. We also work with various agencies, schools, universities, and organizations to conduct public outreach & education on issues of resource conservation, permaculture practices, and community building. We aim to be the change we would like to see in the world and offer the services needed to make that happen with our numerous partnerships. Our consultants provide expertise in project feasibility, layout, and permitting of any scale development—agricultural, municipal, or commercial/residential. We will translate your ideas into the best fit solutions using the appropriate technology to return long term profits on your investment. Whether it is a farm hedgerow or a backyard veggie garden we know how to meet your needs and satisfy your wants to create the most organic, comfortable, and natural outdoor living space you ever imagined. Our designers provide the architectural drawings needed to envision your project and communicate clearly with all the players involved. 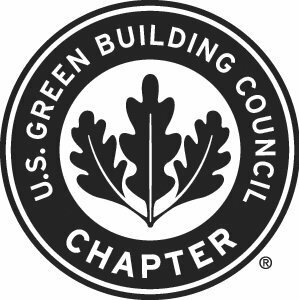 We regularly exceed the requirements of any city, county, or state regulations using innovative and environmentally-friendly concepts that are sustainable, easy to maintain, and cost-effective. Our contractors provide the knowledge, materials, and equipment needed to get your job done right. Always in a quick, clean, and friendly manner we will transform your property into an escape garden that not only looks good, but taste, feels, and smells good too. Our private wholesale nursery offers several varieties of California Native, Mediterranean, and Sub-Tropical plant species. From drought tolerant to shade loving, wetland growing to riparian adapted we have it all and know how to use it to create long lasting, beautiful landscapes that thrive in our many Californian climates. We can always find what you are looking for in our statewide network or contract grow your order to fulfill your specific needs. We are committed to the future of the Central Coast communities and always look to give back as much as we can. We have gained invaluable experience and connections from our volunteer efforts with various local agencies and organizations. We encourage everyone to be part of the community in ways that are meaningful to them and their neighbors. These are some of the organizations that we are committed to helping continue their visions. Please look for upcoming Events in our calendar to find ways to enjoy our beautiful surroundings while contributing to a good cause.